Existing Massage Envy Spas Available Now For Resale ONLY in certain parts of California, New Mexico, Texas & Washington! A Franchise That Takes Care Of You! 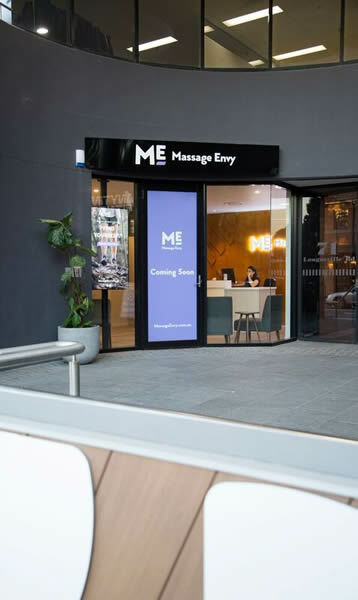 Franchise Development has available a very rare opportunity for a few qualified prospective franchisees to acquire one or more existing Massage Envy Spas in selected areas. Massage Envy is the pioneer and national leader of affordable and convenient Total Body Care services and this could be your chance to join the leading franchise. The unprecedented growth being experienced by Massage Envy makes now the ideal time to acquire an existing Massage Envy Spa. We are seeking experienced business professionals to join our franchise team and knowledge of massage therapy is not required to acquire an existing Massage Envy Spa in the following areas ONLY at this time: Dallas/Fort Worth, Houston, Albuquerque, New Mexico, California and Washington. Today Massage Envy has about 1,160 locations in 49 states and 2 international, making it the largest massage therapy franchise in the industry - join us as the brand continues to expand! You would be hard pressed to find a better business model than Massage Envy! ** This ad is NOT an offer for prospective franchisees to open NEW Massage Envy Spas in new locations but is a rare opportunities for financially qualified prospective franchisees to acquire one or more existing Massage Envy Spas only in the selective geographical locations which are listed above. Live in either the Houston, Dallas/Fort Worth, Albuquerque, California or Washington areas!!!! Massage Envy is ranked #7 in Forbes Best Franchises to Buy. With Entrepreneur, Massage Envy is ranked #1 in the Therapeutic & Massage Services Category, #34 in the Fastest Growing Franchise category, and #43 in the Franchise 500 category. Massage Envy is ranked #80 in Franchise Times Top 200. 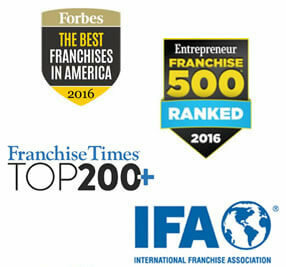 We are endorsed by the International Franchise Association. Whether you are a first-time franchisee or an experienced business owner, becoming a Massage Envy franchisee will empower you to achieve your professional and personal goals in business. We have created a process to help you ask the right questions, learn as much as possible and determine if an existing Massage Envy franchised Spa is the right franchise opportunity for you and for your family and if now is the time. It certainly has proven to be extremely profitable for me & my family. Act now because once these few existing Massage Envy Spas are sold they are off the market for years to come! Freddy O’Pry, President & CEO of Franchise Development will contact you quickly & you two can discuss your qualifications to become a Massage Envy franchisee and you can learn much more about these truly RARE franchise opportunities. As a Massage Envy franchisee you are in business for yourself but NEVER by yourself with help available every step of the way. Massage Envy is currently accepting inquiries from the following states: California, New Mexico, Texas, Washington. @DMIL421 We regret to hear that this was your experience. Please reach out to us at https://t.co/ri2bPOy2Dr so we can learn how to improve. @bhamartsguy Please send us a DM with your contact information and details of your experience so our guest relations team can follow up. @angelvoice36 Please reach out to our guest relations team at guestrelations@massageenvy.com for assistance!